Welcome everyone to the 2018 Willoughby Wildcats JAFC Annual General Meeting. The Clubs primary goal in 2018 was to succesfully manage the year without a home ground and have happy kids and provide a positive environment for all stakeholders. By all reports this was achieved and the club had another oustanding year both on and off the field. 2018 was a successful for our club. • We continue to have a strong and healthy relationship with our youth JV Club the Mosman Swans. one of the dominant winter sporting codes played on the Sydney North Shore? success as a club – both on and off the field. with the Mosman football club for the 13’s and up. Our relationship with the North Shore Bombers continues to strengthen and we made giant steps forward this season with girls footy. If I can now turn to some specifics. As I mentioned earlier, we are one of the largest junior AFL clubs in NSW. Under the guidance of Tony and David and their mighty crew of Auskick coaches that now number more than 25, we have continued to grow the quality and size of our Auskick program. We see the strength of our Auskick program as critical, as we see it as the “base of our pyramid”. The stronger and broader that we can build the base, the stronger and deeper our club becomes in future years. Today’s Auskickers are the junior footballers of tomorrow and of course our youth footballers thereafter. This comes about from the quality of the Auskick program they have experienced in our club’s football nursery and of course the quality and enthusiasm of our coaches /managers in our junior footy program. We should continue to follow the AFL Auskick and Junior players approved training drills and structures. Fielding two u12 Div 1 teams shows the depth of our junior numbers and the quality of our training and players. Our standalone U10 & U12 Girls team exceeded our expectations with the U12 rewarded for their hard work with a premieship. 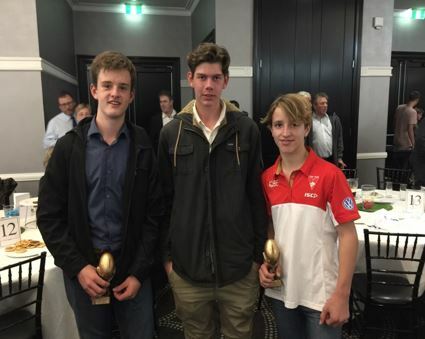 We are able to offer both Div 1 and Div 3 football experiences to each of the youth footy age groups – 13’s through 18’s (with the exception on the U15’s in 2018), which we believe is a testament to the success of our JV with the Mosman footy club. Whilst our JV with the Mosman footy club isn’t necessarily for ever, nor is it perfect, it is is something that we should all embrace and build to become an even stronger model as we move forward. It was wonderful to see the spirit of the U15 YG’s in a diifcult year and U18 Youth Girls JV teams make the grand final. U14:1 & U17:1 which is the Premier competition. Congratulations to our players who qualified for rep teams and our individual youth competition award winners. In 2010 We had 50 club roles – including a committee and operations team of around 10 – filled by around 40 key people. As we move on from season 2018 – We have over 130 footy roles and Wildcat committee and operations roles that are filled by more than 100 different people. We will continue to break up roles into manageable commitments, and engage families to be involved with the development of their kids. Special thanks to Steve Netting for his drive and energy and outstanding success in this area. 2018 is Steve’s last year as Director of Volunteers. The North Ryde Dockers for hosting the Wildcats in 2018. 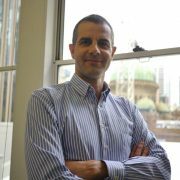 Our Treasuer Marcus Elssum has done an exceptional job and if looking to pass on the baton. Steve Netting being awarded the joint Willoughby Wildcats Volunteers of the Year Award and Life Membership. The U11 and U12 YG age group doing another fantastic job – with both a profitable and enjoyable social night. A number of our teams featuring in halftime games at both the SCG and Spotless Stadium this year. Our strong relationship with the Ryde Dockers which allowed us to play many games at their home grounds. Our new 2018 Director of Sponsorship, Krissie Miller, in securing ongoing support from our exisitng sponsors and building new relationships and new sponsors. Tim Blazey for his investigation work on the new GHO surface and dealings with Council to ensure we will have a safe and leading edge facility. maintain the Wildcats standard and quality. Wildcats will the most advanced sythetic surface for AFL in Australia. the team JV with Mosman for our youth players. centralise the decision making structure for the competition. who have got us through this challenging year. Cath Harris (retiring), Marcus Elsum, Viv Micheletti and our Age Group Coordinators. the new Gore Hill Oval in 2019.
drive the success of our great club. Xmas greetings from the AFL Willoughby Wildcats! We are happy to advise the redevelopment of Gore Hill Oval has commenced and we expect to be away for GHO for the entire 2018 season. The good news is we have secured ELS Hall Park in Ryde for both Auskick and as a home ground for our U8 – U14 teams where ground availability permits. Registrations for season 2018 are open and please keep an eye on the Wildcats contacts web page for details of Coaches and Age Group Co-ordinators for 2018 and it is not too late to volunteer in 2018! And don’t forget the Sydney Swans Academy recommendation of 100 kicks and 100 handballs each day of the holidays to improve your basic skills. Wishing you a safe and relaxing Xmas and new year period. Round 1 – Sunday 8th April 2018.
http://wildcatsafl.com/wp-content/uploads/BannerNew-double-slash.jpg 0 0 Kerry Richards http://wildcatsafl.com/wp-content/uploads/BannerNew-double-slash.jpg Kerry Richards2017-12-20 20:54:172017-12-20 20:54:17Xmas greetings from the AFL Willoughby Wildcats! Congratulations to all teams and our Auskick group on a fantastic and successful 2017 Season. The Club had a record number of players, teams and volunteers in 2017 and we should be very proud of our many achievements as a leading Community Club. Our first year of stand-alone girls teams has exceeded all expectations. A fantastic effort by the 13 teams in under 11 through to under 18 that qualified for the final series and a special shout out to the 10 teams who have qualified for the 2017 Sydney Juniors Grand Final Day being played this Sunday at Macquarie University. Please try to head down to the Macquarie University to cheer on the Wildcats and our Joint Venture teams. Macquarie University playing fields are located on the corner of Culloden Rd & Talavera Rd, Macquarie Park. We wish all teams the best of luck – may the best team win! Following the Grand Final all players, parents and supporters are invited to The Longueville Sporting Club (The Diddy) on the corner of Kenneth Street & River Road in Longueville. Congratulations to our award winners at the recent Kieran Jack GSJ Awards Nights. Many players were selected in representative All Star teams and 3 Wildcat Players brought home competition Best and Fairest Awards. *With Gore Hill being redeveloped, we need to move everything from the site. We have a new storage unit booked in Chatswood and a truck coming to assist. All helpers welcome. Council are taking over the Gore Hill site on Monday 18th September 2017 for the oval realignment and synthetic upgrade. At this stage we expect to return to GHO for season 2019. It was great to see so many at the Wildcats Social Night on 12 August. This event is run every year by the Under 11 age group and 2017 was another great success. Many thanks to all who attended, donated items and purchased items. The focus is on ‘fun-raising’ rather than ‘fund-raising’ and it was great to see both were achieved this year. Well done to the U11 social team – you know who you are! A huge thanks to all who assisted at training, on game day running messages, running water, umpiring, cutting oranges, flipping sausages, running the canteen, providing snakes, operating the scoreboard, nursing the injuries, transporting, just cheering – as well as the many off field roles across the club. The teams and Club cannot survive without you. Hope you and your players had a great experience and will be back again next year. Thanks also to our sponsors Dixon Advisory, Mirvac and Oak Milk – please support these great businesses for their generous support of the club. Finally a message from the head of the Sydney Juniors Regional Committee. Hi Players, Parents and Supporters of the Mighty Willoughby Wildcats. Wishing you all a happy mid-season break and I hope you have all enjoyed the school holidays and a couple of weeks away from footy. Please read on…. there is much to report and advise with an exciting three months of Sydney Juniors footy ahead. From Auskick through to our U17’s all age groups are in great shape and the girls teams, in their inaugural year, have exceeded all expectations. By all reports, each age group are having lots of fun, developing their skills and having on field success. Great work Coaches and Managers! Early in the year Coaches discussed with players the importance of the players Code of Conduct and what is expected of them both on and off the field. Equally important is the parents, supports and spectators code of conduct which I ask you to review in the following link. As a large and strong club, it is very important our players, parents, spectators and supporters are gracious in defeat and more importantly in victory. Everyone loves free Footy tickets! Get your free family tickets to the Sydney Juniors Giants V Dockers game at Spotless Stadium in Homebush on Saturday 29th July at 2:10 pm. All families will be sitting together so jump on the following link as the offer closes soon. The much awaited Wildcats Social Night is fast approaching on the 12th August at Firehouse Hotel in North Sydney. The night is organised by the U11 group each year so please get on board for a great night. If you can donate an auction item the organising committee would love to hear from you! Our “beloved” Gore Hill Oval, without grass nor drainage, has reached the end of its useful life and will be redeveloped with a fantastic new synthetic surface in 2018. As a result, there will be no further games at GHO in 2017 but the mighty Auskickers (with OAK milk still being delivered) will continue at GHO in 2017. The Committee wishes all age groups all the best for last 5 rounds of the season and a big shout out to those teams who have worked hard during the season and will qualify for the finals.